President Trump’s recent executive order on immigrants and refugees has led to a sharp kickback by several tech companies. Now livestreaming app Periscope is adding its own voice to the chorus of criticism. 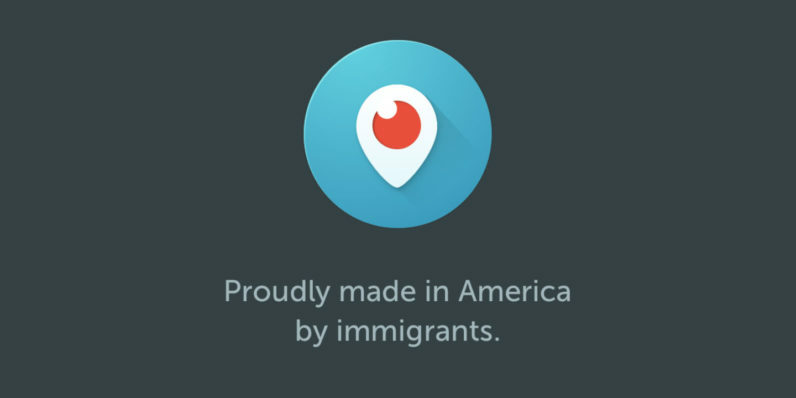 The recent executive order to halt immigration from seven countries in the Middle East and Africa has forced us to consider a disturbing alternate reality in which the Periscope team is irreparably changed. We feel this is an important statement to make about who we are and the real impact of these policies. Even so, the company says it “fundamentally believes in maintaining an impartial product,” and that it will remain a safe environment regardless of your political or religious views. The tech industry has embraced globalization, making immigration blocks felt widely. According to Bloomberg, Google went so far as to recall some of affected by the order, who happened to be outside of the US when the order was issued. We wouldn’t be surprised to see the same happen at other companies.